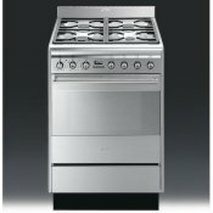 Freestanding Cookers are far more modern than the seemingly discarded version many baby boomers grew used to. 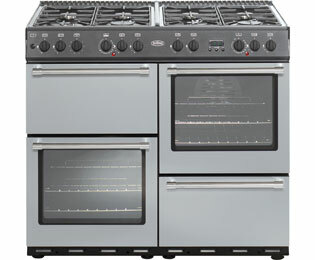 There is also the option of Agas, and Freestanding Range Cookers that come in gas or electric versions. Built In Ovens and Built Under Ovens are different sizes, so ensure, whether you choose a double or single version, it fits with your kitchen design needs first. 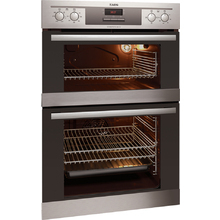 Freestanding, Dual Fuel Cookers, such as this Smeg SUK61MX8 at £589, have come along way since the 1980s, where the fitted kitchen became the way all kitchens seemed to head, with their integrated appliances and fitted cupboards etc. When selecting your appliances for a fitted kitchen it is important to distinguish between built in and built under. They are what they refer to, 'Under' is below the counter and 'In' is in a tall cupboard. The Appliances are a different size, whether single or double ovens. 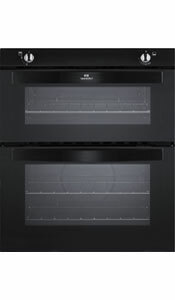 This Built In electric oven by AEG, is a good example of the extra capacity gained and required, by including the oven space within a tall cupboard. Especially attractive as a focal point in a U-Shaped kitchen, Range Cookers have made a come-back with the popularity of Agas. Most of these modern variations are a fraction of the cost.